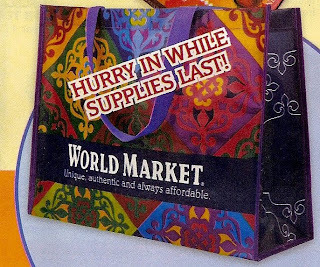 If you are planning on heading to World Market, do so soon! They are giving away a free tote bag with any $10.00 purchase that you make. This offer is only good while supplies last.